1500 Ocean Drive Condos of South Beach | 1500 Ocean Dr.
1500 Ocean is a popular Michael Graves boutique condo building located at the end of Ocean Drive in South Beach. This building is right on the sand and offers private beach services. Other building amenities include a pool, spa, fitness center, community room and lots of resident activities. Don’t see one that matches your needs? Set up a Condo Alert for this building to be notified when a new listing hits the market. 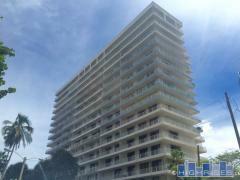 Have any comments or questions about 1500 Ocean Drive? Ask your question and/or share your thoughts about this Building. Let me know when a new comment is posted.